What happens when the thing you love begins disappearing in front of your eyes? 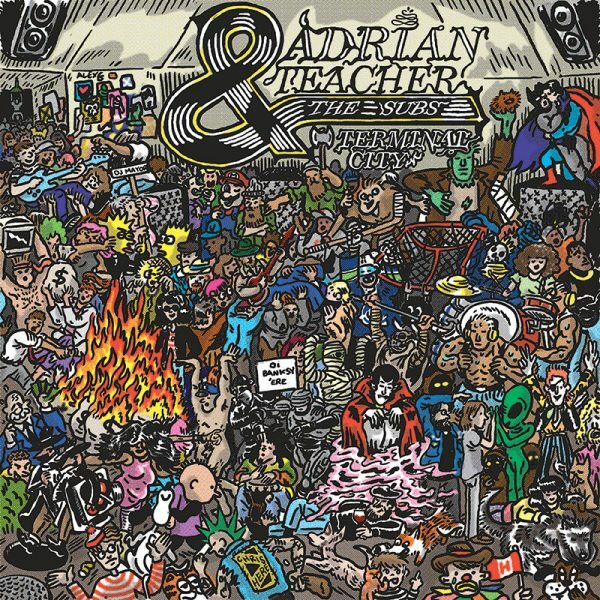 Adrian Teacher and the Subs debut album Terminal City is a 25-minute, ten song album that documents a rapidly changing city, an endangered planet, faltering relationships and personal loss. His latest release gives gentle nods to the 70s UK pub rock scene (think proto-punks like Squeeze or Nick Lowe) and is a return to classic form – filtering heavy subject matter through the 2 1⁄2 minute frantically upbeat power-pop song.